Oppo launched the Oppo Find X back in June, a unique device with some interesting characteristics. For starters, it has a retractable camera and an entirely bezel-less display, it was the company’s first proper flagship in a long time. 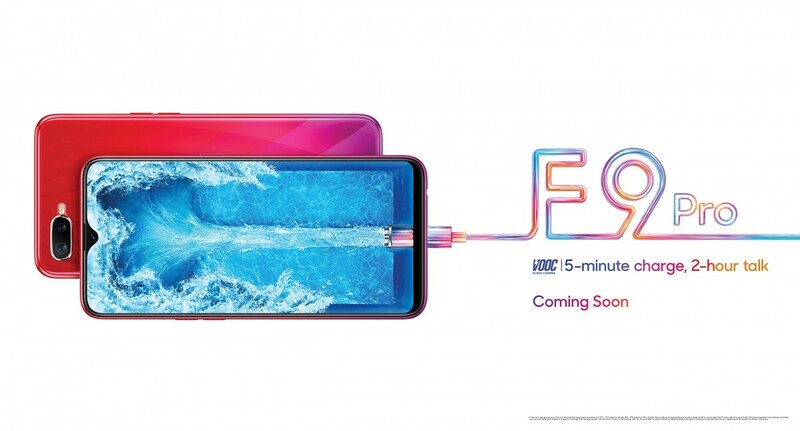 Now, Oppo is back again with the Oppo F9 Pro, which has a display notch and VOOC flash charging. However, the notch looks a little different than what we’re used to seeing. It’s somewhat reminiscent of the Essential Phone. From what we can see, the Oppo F9 Pro has a dual camera setup on the back with no fingerprint sensor in sight. That leaves us with three options: there isn’t one at all, there’s one on the back, or there’s one under the display. While it’s most likely that there’s simply a fingerprint sensor on the back, the company could be trying to do something new and include a fingerprint sensor under the display instead. The Oppo Find X didn’t have a fingerprint sensor and relied entirely on facial recognition for biometric unlocking, so that is an option as well. And that’s without even getting into the inclusion of VOOC Flash Charging. It’s not quite to the insane speeds offered by Super VOOC, but it’s still extremely fast. Dash Charge is simply just VOOC rebranded if that gives you an idea of how fast it can charge your phone. What size the battery is we don’t know yet, but Oppo says a 5-minute charge will give you two hours of talk time. It’s not entirely unrealistic based off of how much that can charge your phone. It’s likely a stretch, but even if you can get an hour from a 5-minute charge, that’s quite a lot. The only other thing to mention is the display notch, which is shaped like a rounded triangle. It’s an interesting design that we haven’t seen before and it looks pretty nice. In terms of other specifications or even a launch date, we don’t know yet. The Oppo F9 Pro could arrive alongside the Oppo F9, but there’s nothing confirmed. Given that the company is continuing to tease it though, we’ll likely see it in the coming months.